For some people, rosacea becomes more noticeable with time. The redness can become permanent. The skin may always feel hot and tender. Your skin can become so sensitive that getting water on your face causes burning and stinging. Recent research suggests that it tends to run in families. 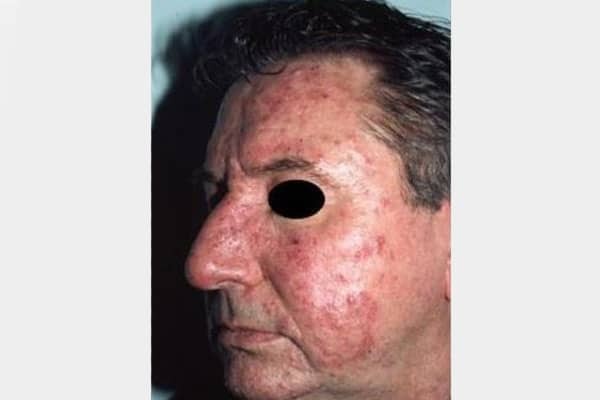 If you have blood relatives with rosacea or severe acne, you have a greater risk of getting rosacea. 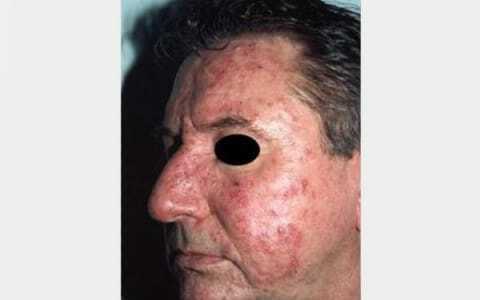 Having had severe acne also increases your risk of getting rosacea. If you have permanent redness on your face along with acne or small veins, you may want to see a dermatologist. A dermatologist can tell you whether you have and offer a treatment plan. 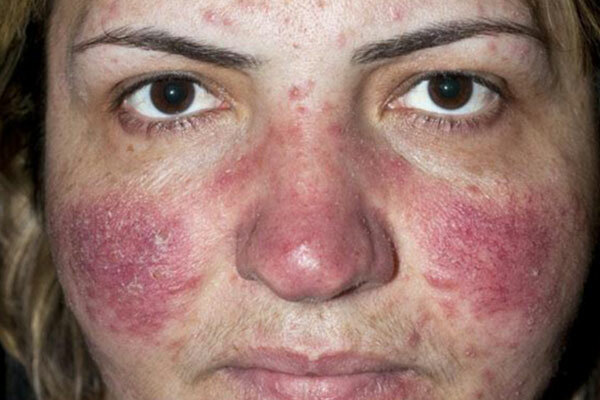 Treatment can help ease the discomfort caused by rosacea. It can help control the redness, acne-like breakouts, and diminish the veins. Even the thickening skin can be treated. Many people who treat their rosacea say that treatment improves their quality of life. They say they feel less self-conscious. Another benefit of treatment is that it can prevent rosacea from getting worse. Research shows that the most effective results come from combining treatments and tailoring treatment to a patient’s signs and symptoms. Your dermatologist may create a treatment plan that includes more than one treatment. Sometimes you need an oral antibiotic to clear the acne-breakouts or your dermatologist may recommend a low dose form of an antibiotic that treats the inflammation but avoids side effects of longer term antibiotics. Taking antibiotic can clear the acne-like breakouts. To keep your skin clear, you may need to use a medicine that you apply to the skin. To clear acne-like breakouts, many people now can take a newer medicine. It looks like an antibiotic but does not contain enough medicine to work like an antibiotic. This medicine can clear the skin and avoids concerns about taking an antibiotic for too long. To reduce the redness, you may need to use a cortisone cream for a short time. Laser surgery also can help reduce the redness. To get the best result from your treatment, dermatologists recommend that you learn what triggers your rosacea. Finding out what triggers your rosacea takes a bit of detective work, but it is not hard. At the end of each day, jot down your exposure to common rosacea triggers. If your rosacea flares up, be sure to note that, too. Once you know what triggers the condition, it is for the best to avoid the causes if you can. SUN EXPOSUREYou can protect your skin from the sun by seeking shade when possible, limiting exposure to sunlight, and wearing sun-protective clothing. Every day, be sure to apply a nonirritating broad-spectrum (offers protection from UVA and UVB rays) sunscreen with SPF of 30 or higher to your face. When you will be outside, be sure to reapply the sunscreen that does not irritate your rosacea. FOOD AND DRINKSAvoid anything that causes your rosacea to flare. Common triggers include spicy foods, hot temperature drinks, caffeine, and alcoholic beverages. HOT AND COLD TEMPERATURESYou can reduce your exposure by not overheating. Exercising in a cool environment can help. You can protect your face from cold and wind with a scarf or ski mask that does not irritate your skin. SKIN CAREAvoid rubbing scrubbing, or massaging your face. Keep your skin care routine simple. Fewer products are better. Avoid cosmetics and skin care products that contain alcohol. HAIR SPRAYSIf you use hair spray, shield your face so that the spray does not land on your face. Once you know what triggers your rosacea, you can select the tips that will help. People have different triggers. 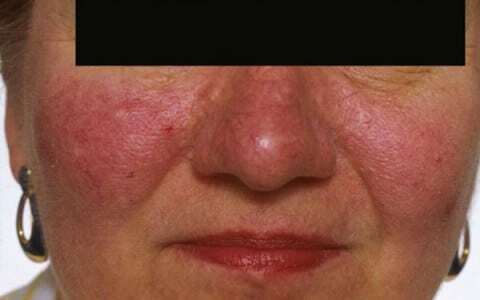 Dermatologists can effectively treat rosacea. There are no quick fixes though. Treatment takes time to work. It also takes time to figure out what triggers your rosacea and sometimes a bit of creativity to avoid your triggers. Treatment might be time-consulting. Many people say treatment is worthwhile because it may improve their quality of life. Talking with a dermatologist can help you make an informed decision about your treatment of choice.